here are my best photos of the Moon, using my C9.25 and an ASI178 colour camera. The photos were taken on June the 1st. The Moon was not very high n the sky but the turbulence was very quiet. 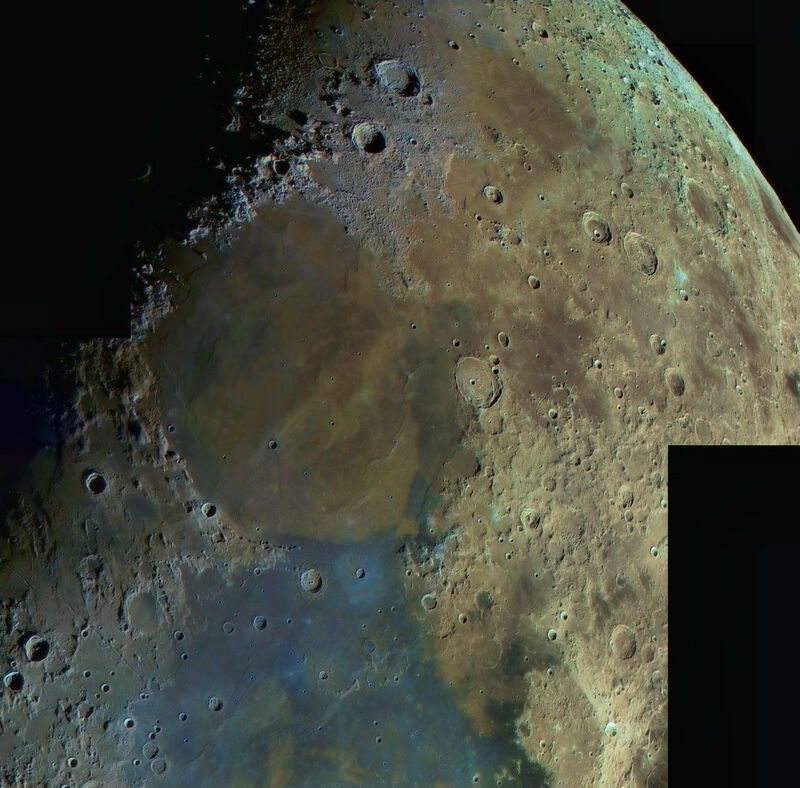 North part of the Moon mosaic, enhancing the colours to show the wide variety of soils, mainly the metallic oxides concentration in soils.The result is quite good for a colour sensor camera. A close up on Tranquillitatis and Serenitatis Mare. No doubt the geological history of those mare are quite different, considering the difference in soils composition. ZWO ASI178MC allows good work on soils colours. 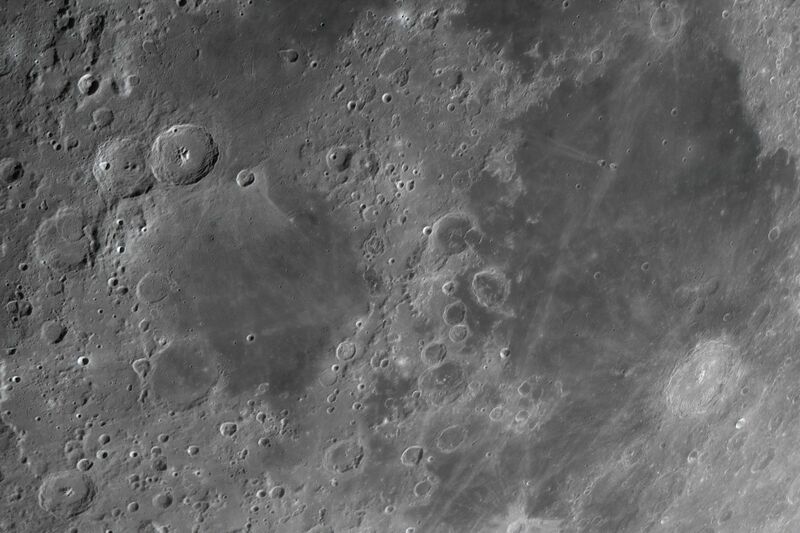 But i hope i will have much better results when i will get ASI178 mono and RGB filters. Incredible work! 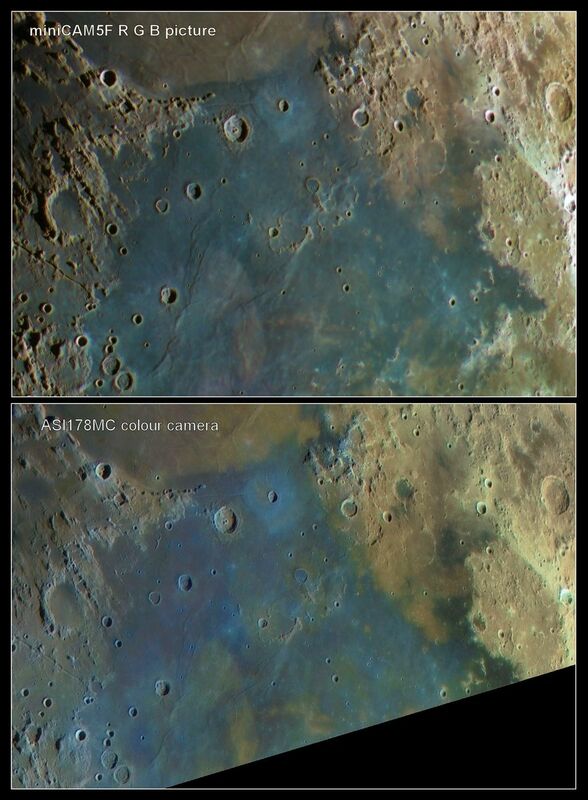 The enhanced color images are a fascinating study. Resolution and gradation in all of the images is mind boggling. Bravo! Many tanks. 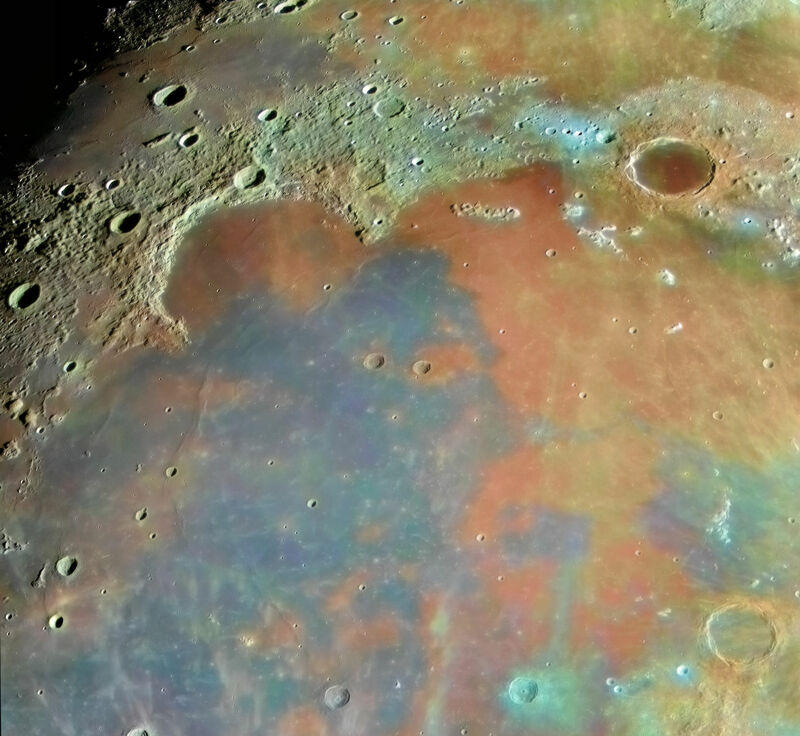 I do like colours of the Moon and i made a lot of pictures with enhanced colors. The result is sometime bad, sometime good. Quite hard to get something really good, especially with a colour camera because the bayer matrix filters are not enough selective filters to get a wide variety of colours. But this time, the result was good. I was lucky. When i will have a mono camera with more selective filters, i think (hope) i will have very good results. Very good seeing is extremely rare here. When it happens, its a real gift ! Many thanks. I hope i will post some better Moon in september or october. Beautiful! The colors are a revelation to me, I hadn't realized how much difference in composition there was up there. The Moon colours are really great. I hae been working on them for a long time. 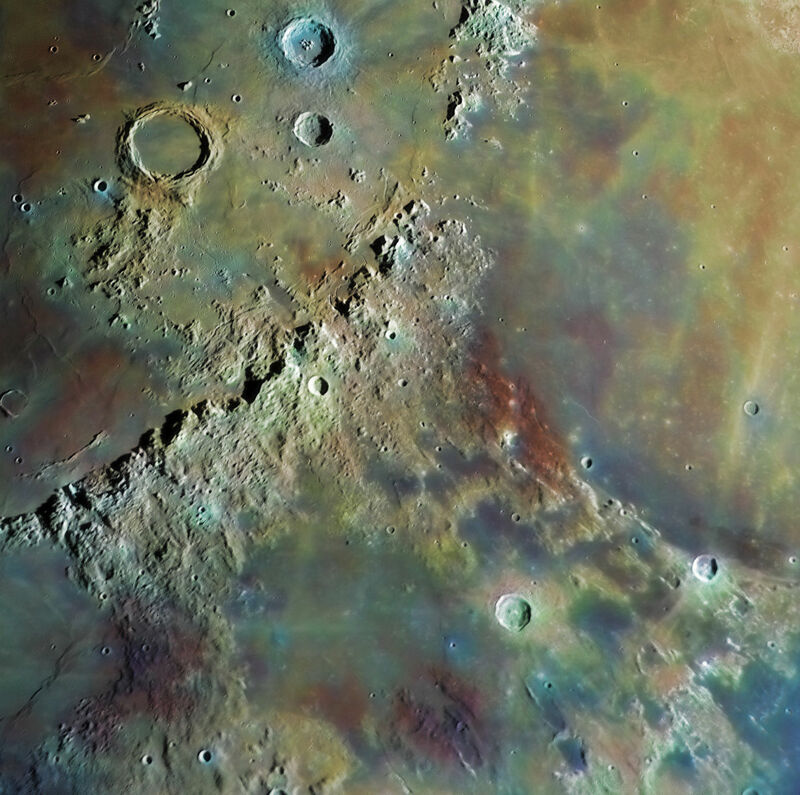 If you are interested in the colours of the Moon, i have put major part of my work on a french astronomy forum. It's a bit long to look at all the topic but there are some interesting results a get, mostly with a SCT 6" and qhyccd cameras (qhy5lii and minicam5f). The most recent pictures are taken with my C9.5 and ASI178MC. I have tried to ask NASA if my work worth someting but i never had any reply. If someone knows people who work for NASA, i would be pleased to know what they think about my work. 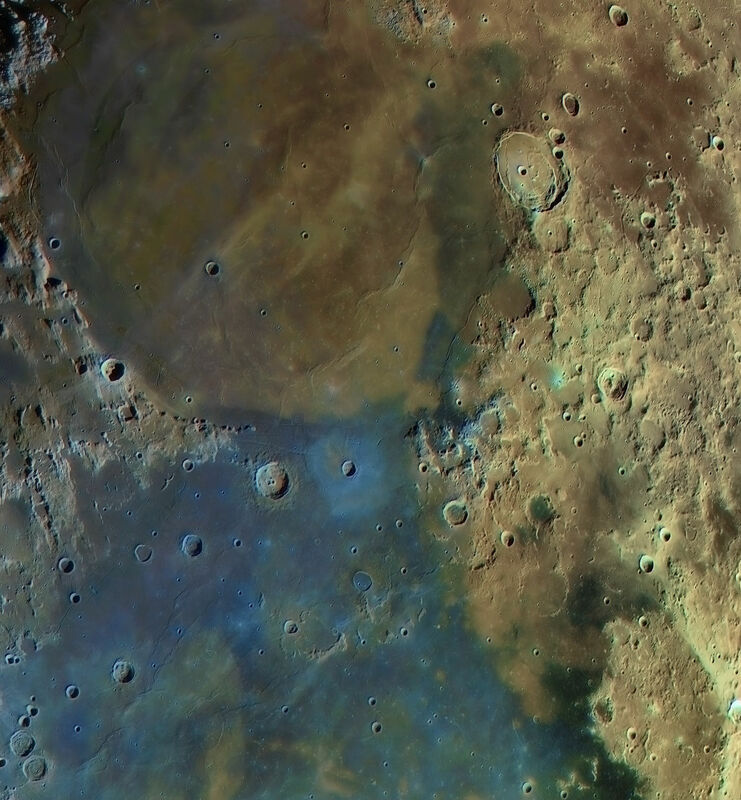 This time, here is Mare Tranquillitatis and Mare Crisium with beautiful colours. Mare Crisium soils seems to be really complexes. Still using C9.25 and ASI178MC camera. And my last colour Moon from June the 1st. 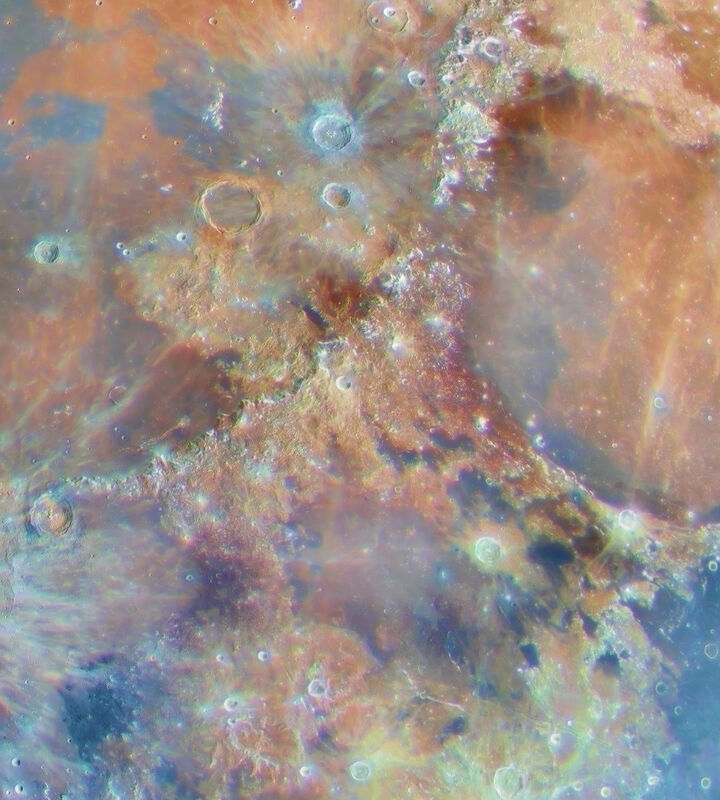 Mare Nectaris and Mare Fecunditatis as you never saw them. In fact, the result is better i expected with ASI178MC. But the colours are mainly blue and orange (titanium and iron oxides). With mono sensor and very selective filters, i hope i will be able to show other colours. Thanks for your comment. You could make a try with the 224mc. It should give good results. Nice work! 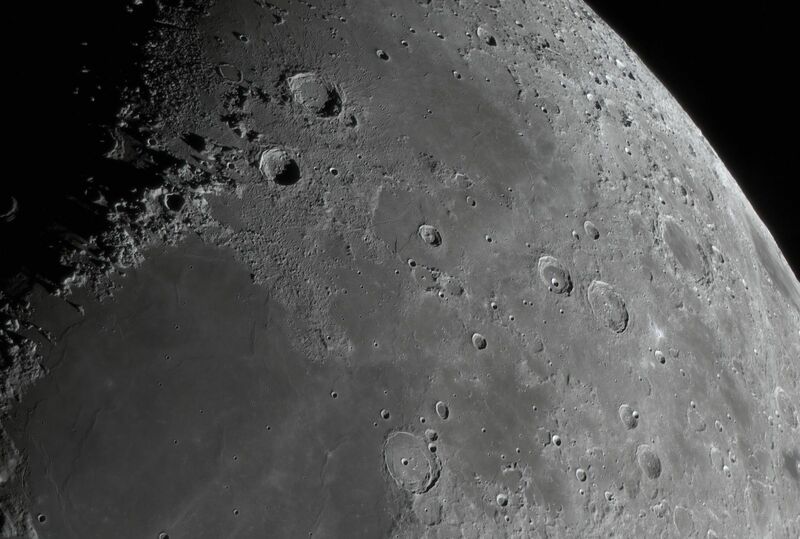 Some of the best C9.25 lunar images I've ever seen. Really Amazing! Thanks for sharing Alain. 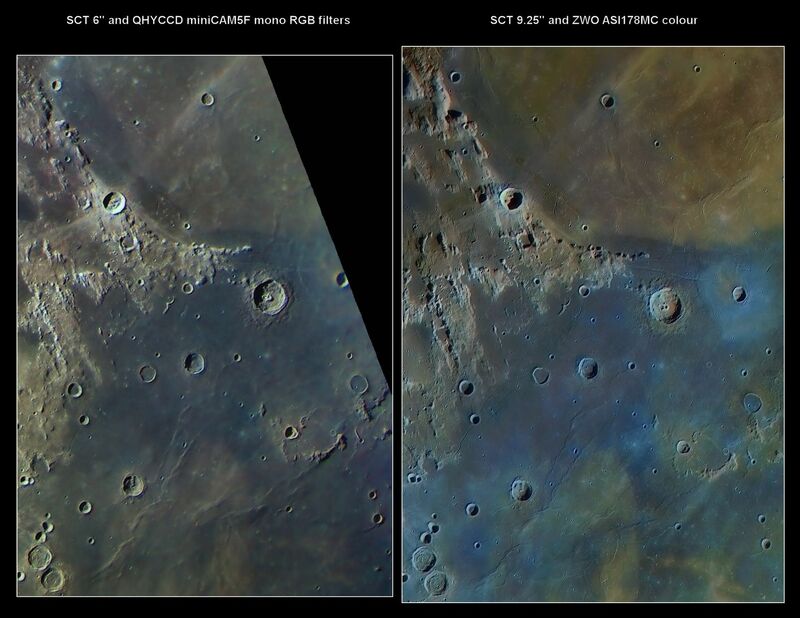 for the coming 2 pictures, i made a comparison between SCT 6" + miniCAM5F camera (mono sensor + RGB filters) and SCT 9.25" + ASI178MC camera (colour sensor). 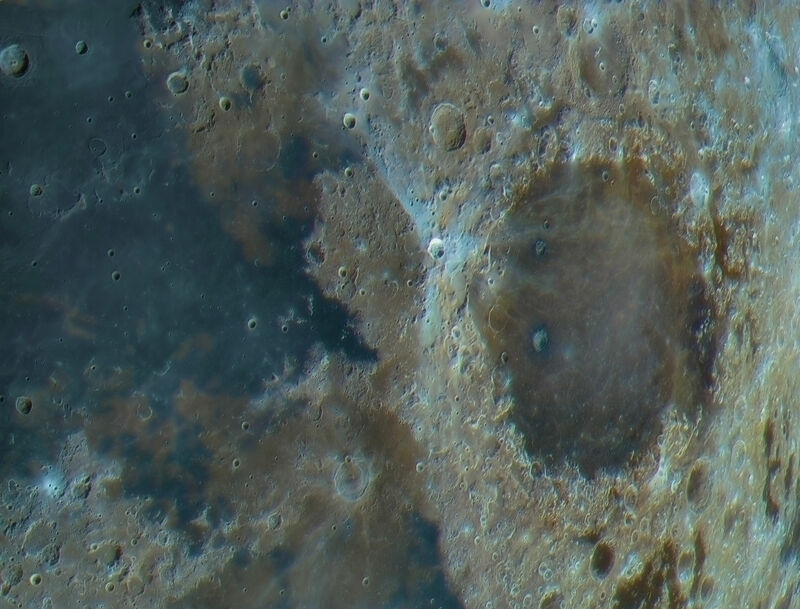 Despite the fact the resolution is much better with SCT 9.25" (quite normal), we can see the colour sensor can give good results with Moon soils colours but i think mono sensor + RGB filters is still ahead colour sensor. I have just received my new ASI178MM Cooled, an EFW and ZWO RGB filters. 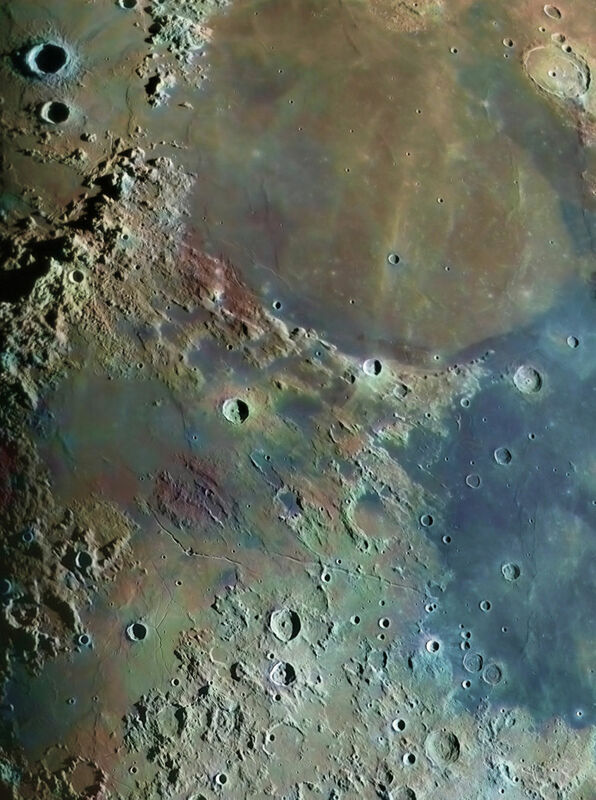 I hope i will be able to make tests soon to see how perform a SCT 9.25" and a mono sensor camera on the colours of the Moon. 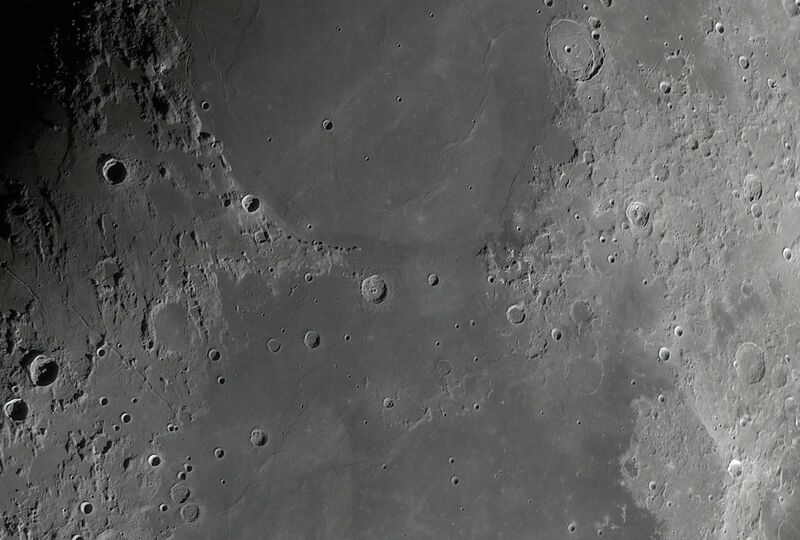 i have reprocessed a near full Moon mosaic (4 pictures) using my C9 at F/D 6.3 and ASI178MC. From this picture, i can get a map of the colours of the soils i can use to colourize classic pictures. 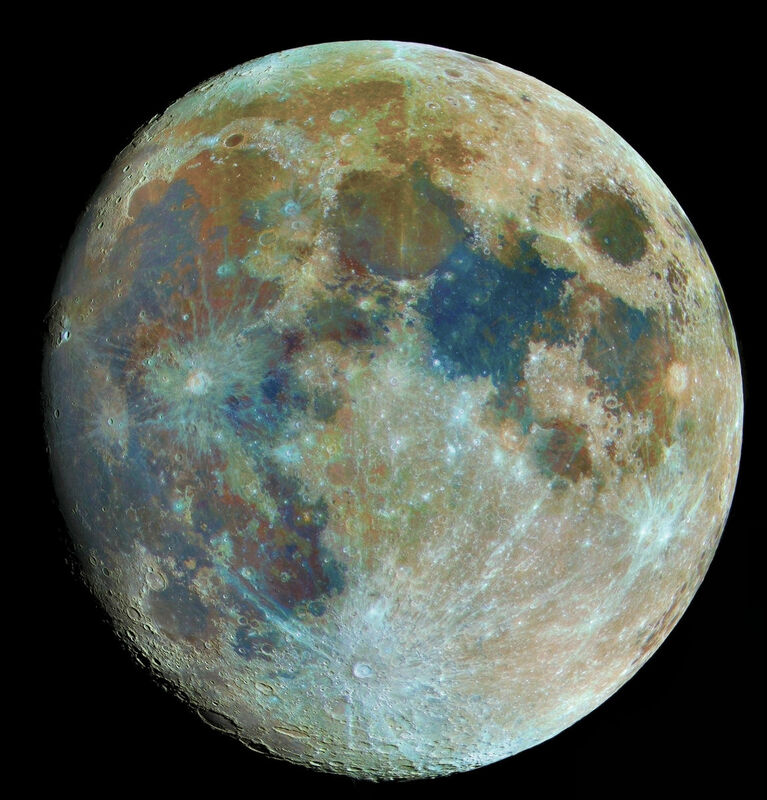 The colour map of the Moon i made is one of the more precise and more detailed map i have ever seen and it will allow me to make high definition colour pictures of the Moon. That is just flat out spectacular!!! Blue colours mean high TiO2 concentration, orange means low TiO2 concentration and Red means FeO3 in the soils. WOW, very impressive. 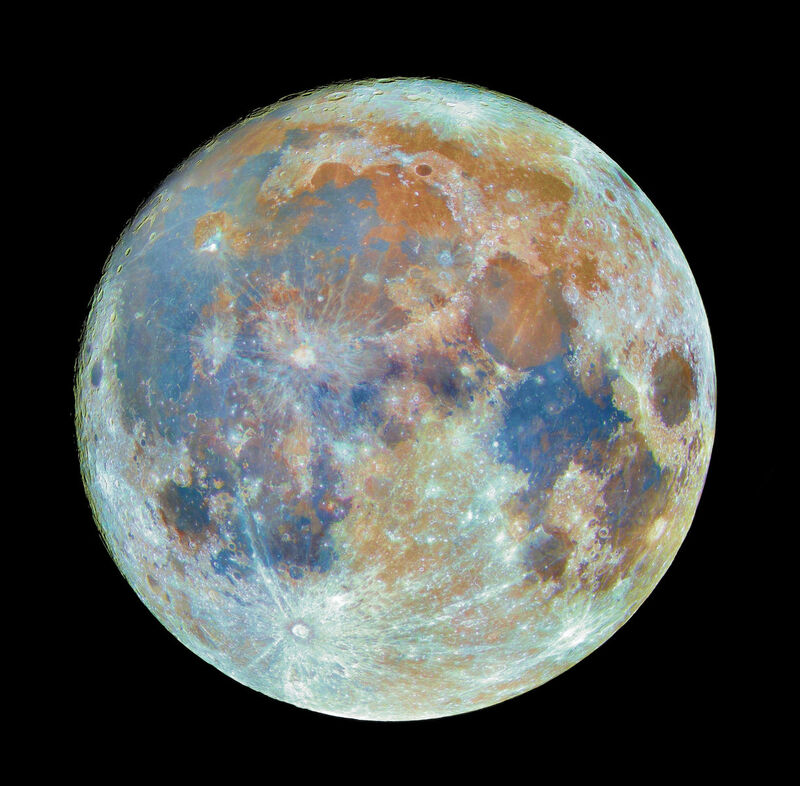 I get so bored of looking at gray pictures of the moon, when we all know it has color. Thanks for waking up our astronomical community. Maybe now we'll see more RGB or OSC images being posted. 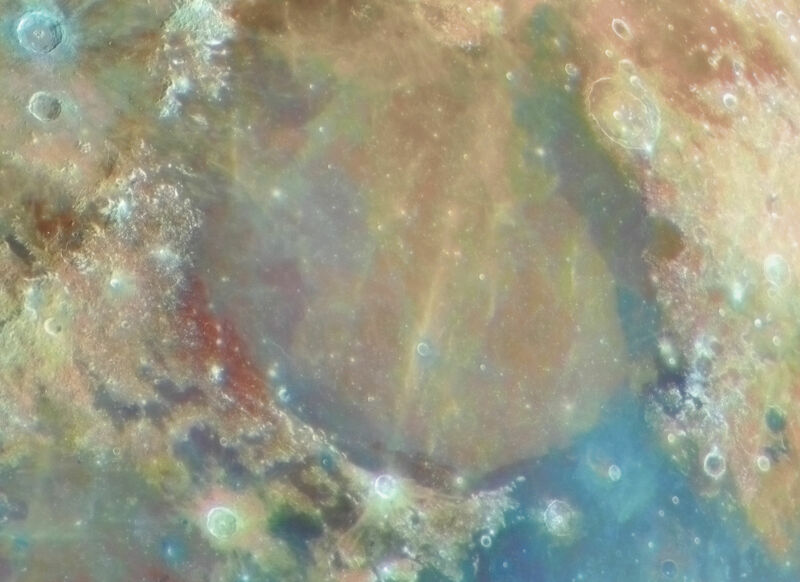 The moon is a spectacular world that shows thousands of asteroid impact craters and is a constant reminder that we barely survived a violent past and with more heading our way, lets hope for the best. The solar system is a magnificent place and we have the best seat of all, the good old planet earth. 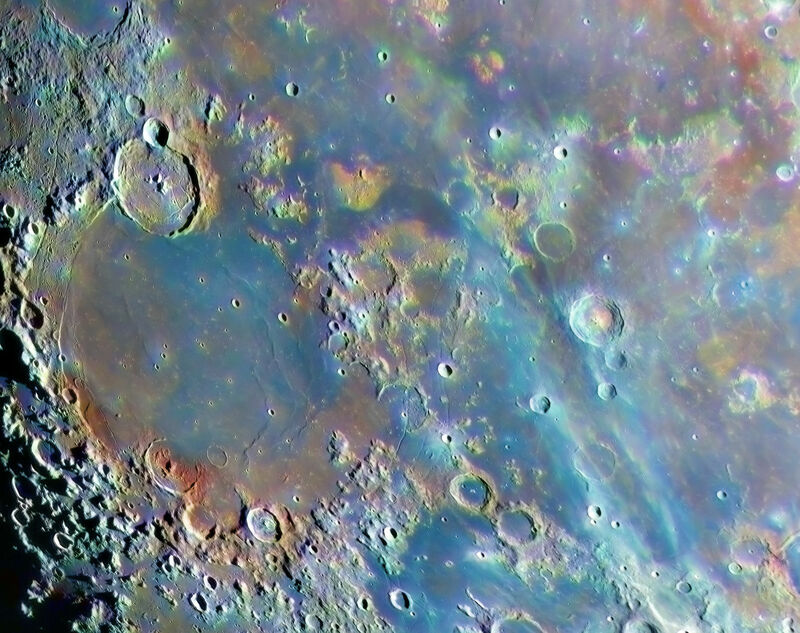 Thanks Alain for showing that the moon is a colorful recording of our; past, present and future. Edited by AstroDan2015, 04 January 2018 - 09:41 AM.